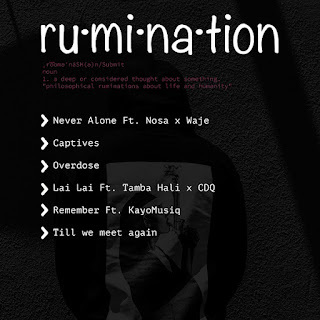 Music : Off the 6-tracks “Rumination ” EP, record producer, Masterkraft did a wonderful track titled “ Never Alone” featuring Waje and Nosa . 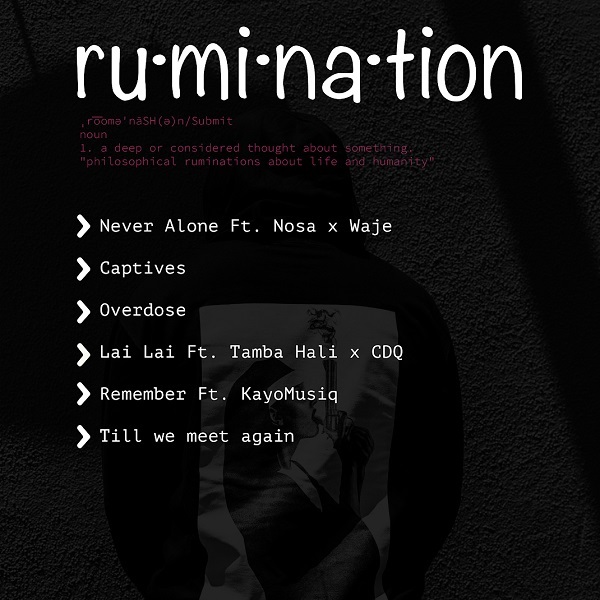 Rumination: a deep or considered thought about something. “philosophical ruminations about life and humanity” . The song describes the true meaning of the project.